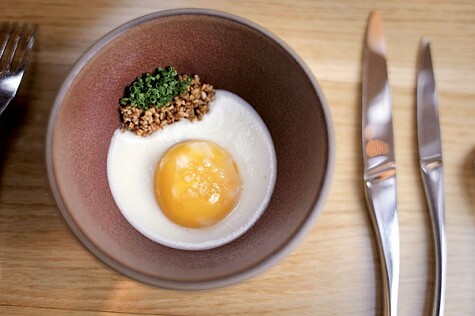 Star chef James Syhabout's intricate, unusual, and beautifully balanced creations are showcased at his sparsely appointed, white-on-white Piedmont Avenue restaurant. The prix fixe menu employs locally harvested seasonal ingredients in striking and unique combinations: sweetbreads on a bed of rye berries and allium nectar, say; or Fort Bragg lingcod with toasted fennel, white beans, and seaweed broth; or a goat's milk panna cotta draped in beet-blood orange sorbet and candied pistachios. The food is more memorable than the overall experience, though, especially at these prices. Wine pairings available for an additional stipend. Five restaurants for those special occasions when someone else is picking up the tab. Farmers and chefs introduce us to uncommon foods. Oakland didn't exactly become America's new food mecca, but it's still a great place to eat. Here are ten reasons why. Eleven options to titillate the palate.